Let's talk pumpkin. It's that time of year when pumpkin makes its way into everything. I love pumpkin and enjoy it in as many forms as I can from late September until December. Getting my vitamin A on. 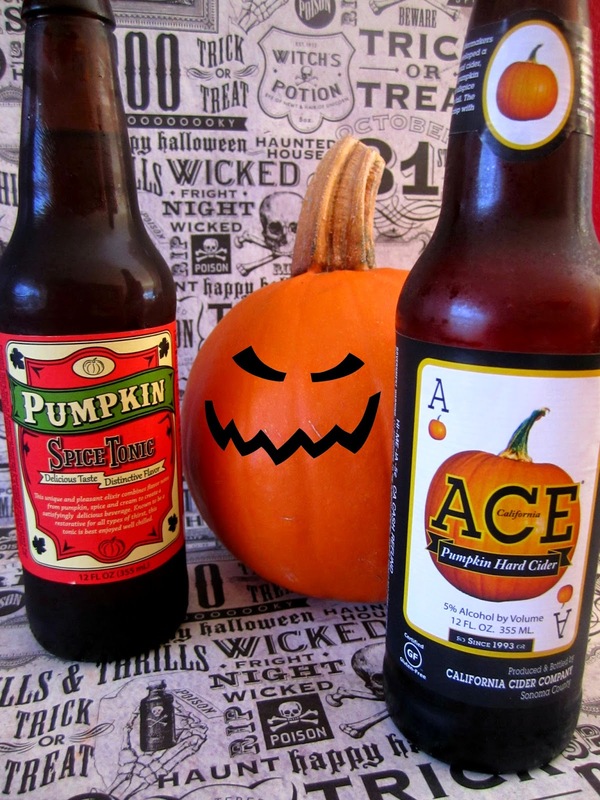 Pumpkin tonic from Cost Plus and pumpkin hard cider from ACE. The tonic is very tasty. Nice spicy bite to it. The hard cider is good too but as my man said, very sweet. This is for adults only. It was good but I had to sip it as it is very sweet. Breakfast is getting tasty around my house. Thomas English Muffins in pumpkin spice are good with plain butter but get a fall upgrade with pumpkin butter. 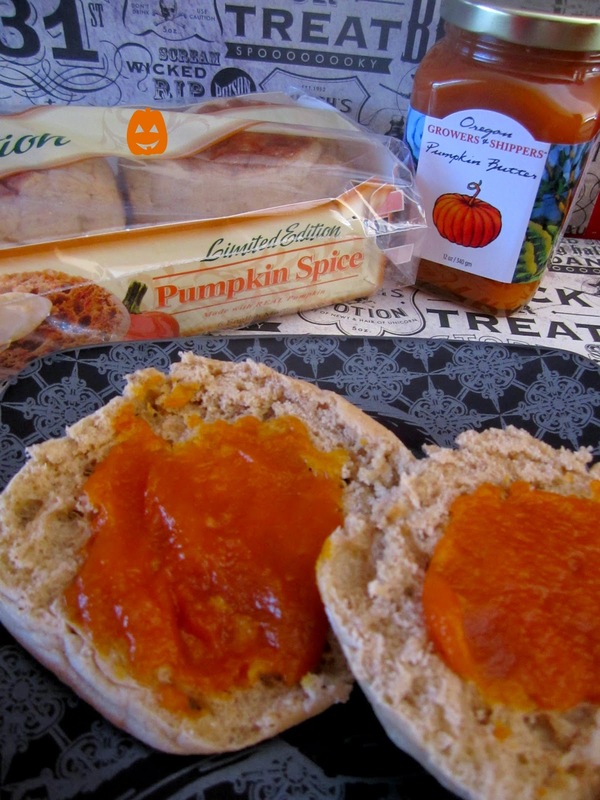 I picked up this pumpkin butter at Cost Plus and it is so good and made in my home state. Bonus! Creamy, melt in your mouth fall goodness. Now I am not a fan of Oreo's. I know. I know. How could I not like Oreo's and why did I pick up a bag of them if I don't like them. Well...I don't like the chocolate ones. These aren't chocolate. They're pumpkin! and yes, they are good. Very mild pumpkin spice flavor. M & M's. Another candy I'm not a big fan of. Yes, I am well aware I am weird. 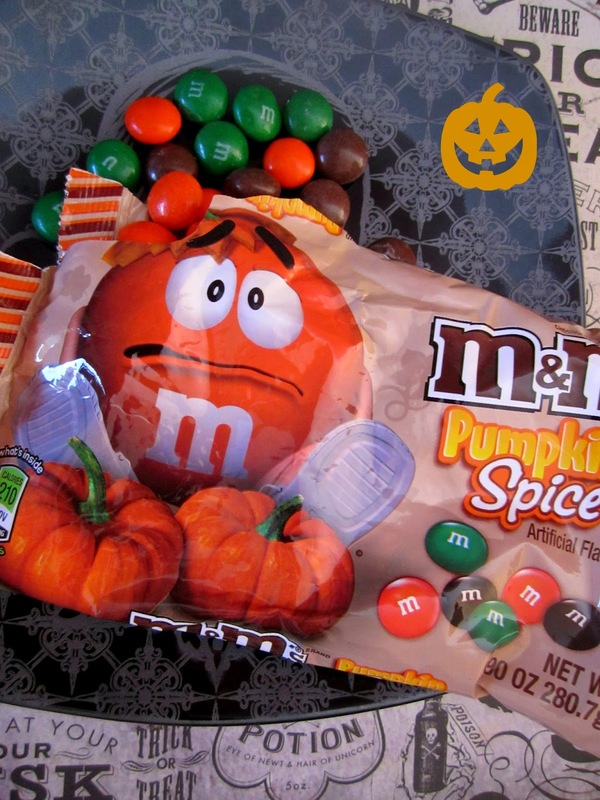 I of course had to try these because, say it with me, they're Pumpkin! 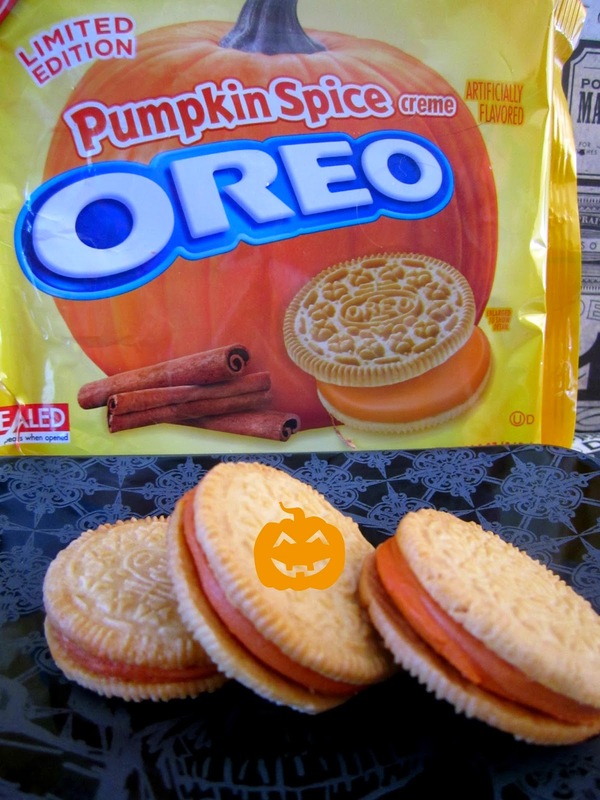 These have a slight pumpkin taste to them and I bet they would be delicious in cookies. Now this is my weakness. Ice cream. Growing up I would eat half the carton at one sitting. Every fall I look forward to Dreyer's pumpkin ice cream. 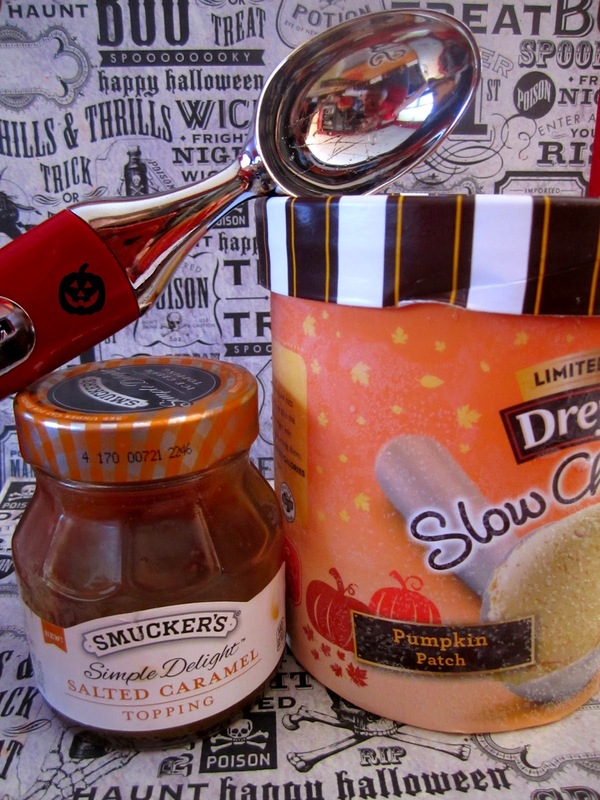 Add a little Smuckers Salted Caramel on there and you have one yummy fall after dinner or for dinner treat. See any pumpkin products you want to try? I'd love to hear what you think of them. None of these companies provided me with any of these products. I bought these all on my own and all opinions are mine. Making my first pumpkin pie of the season! It started because I have some graham crackers I wanted to use. I'm excited! Yum! I hope it turns out. Love pumpkin pie! Hi!! Tiffany of Fizzy Party here. Party stylist and work shop creator. I'm here to help you ROCK the mini party.I'll show you how to get a personal themed look for your party when you're short on time and funds.